Doctors may soon be able to detect and monitor a patient’s cancer with a simple blood test, reducing or eliminating the need for more invasive procedures, according to the results of new research by Purdue University scientists and colleagues. W. Andy Tao, Ph.D., a Professor of Biochemistry and member of the Purdue University Center for Cancer Research, and collaborators identified a series of proteins, isolated from extracellular vesicles (ECVs) in blood plasma, that, when elevated, signify that the patient has cancer. The findings were published online on March 7, 2017 in PNAS. The article is titled “Phosphoproteins in Extracellular Vesicles As Candidate Markers for Breast Cancer.” Dr. Tao’s work was done with samples from breast cancer patients, but it is possible the method could work for any type of cancer and other types of diseases. The work relies on analysis of sub-cellular vesicles (ECVs known as “microvesicles” and “exosomes”) in blood plasma. Protein phosphorylation, the addition of a phosphate group to a protein can lead to cancer cell formation. So, phosphorylated proteins, known as phosphoproteins, have been seen as prime candidates for cancer biomarkers. Until now, however, scientists weren’t sure identification of phosphoproteins in blood was possible because the liver releases phosphatase into the bloodstream, which dephosphorylates proteins. “There are so many types of cancer, even multiple forms for different types of cancer, that finding biomarkers has been discouraging,” Dr. Tao said. “This is definitely a breakthrough, showing the feasibility of using phosphoproteins in blood for detecting and monitoring diseases.” Dr. Tao and his colleagues found nearly 2,400 phosphoproteins in a blood sample and identified 144 that were significantly elevated in cancer patients. A new study published online on March 7, 2017 in Diabetologia (the journal of the European Association for the Study of Diabetes [EASD]) reveals that type 2 diabetes (T2D) is associated with a 26% increase in the risk of death from cancer in Asians, as well as increases in the risk of death from site-specific cancers that can be even greater. The research conducted by Dr. Yu Chen (Associate Professor of Epidemiology at the Department of Population Health at New York University School of Medicine) and colleagues, as well as researchers from institutes across America and Asia, looked into the relationship between T2D and cancer deaths across cohort studies conducted in seven Asian countries. There is increasing evidence of an association between T2D and an individual's risk of developing cancer or dying from the disease. Most of the studies into this relationship have looked only at Western populations, but with diabetes becoming increasingly prevalent throughout Asia, it is important to understand whether the risk of developing cancer in Asians with T2D is similar to that seen in the West, or whether they face different, and possibly greater risks than white western populations. Earlier research had suggested that at any given body mass index (BMI), Asians are more susceptible to developing insulin resistance, and go on to have a higher prevalence of T2D in comparison with people of European extraction. Although there have been previous studies of diabetes and site-specific cancer risk in East Asian populations, the authors note that the majority only considered one or a few cancer types, included only a small number of patients with diabetes, or didn't control for other important risk factors such as obesity. In his March 7, 2017 Zone-in-with-Zon blog post, “Evolving Polymerases to Do the Impossible” (http://zon.trilinkbiotech.com/), Dr. Jerry Zon describes recent work (http://www.nature.com/nchem/journal/v8/n6/full/nchem.2493.html) of Professor Floyd Romesberg of the Scripps Research Institute Department of Chemistry, and his team, as “a tour de force of experimental methodology” that has evolved nucleic acid polymerases into mutant polymerases that can do what previously seemed impossible. 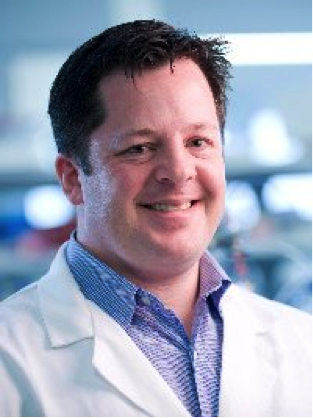 Romesberg’s lab has, Dr. Zon writes, “successfully achieved what I think of as ‘multiple molecular moonshots,’ wherein a Taq polymerase (which normally reads and writes DNA during PCR), was evolved by novel selection (SELEX) methods into mutant polymerases that are able to transcribe DNA into 2’-O-methyl (2’-OMe) RNA, and reverse-transcribe 2’-OMe RNA into DNA for PCR/sequencing…This was exemplified using a 60-mer DNA template and 18-mer 2’-OMe RNA primer to produce a fully-modified 48-mer 2’-OMe RNA by means of an evolved mPol and all four A, G, C and U 2’-OMe NTPs, which I am proud to say were purchased from TriLink BioTechnologies! This type of molecular evolution of a polymerase has no precedent.” With regard to the significance of this achievement, Dr. Zon said the following. “The present study is the first to evolve an mPol for reverse transcription of fully modified 2’-OMe RNA into DNA, which can then be amplified by PCR and/or sequenced, thereby opening the door for a variety of new analytical methods. Most importantly, the molecular mechanism by which these remarkable mPol activities were evolved, namely, the stabilization of an interaction between the ‘thumb and fingers domains,’ may be general and thus useful for the optimization of other Pols. Scientists at Baylor College of Medicine, the Lawrence Berkeley National Laboratory, Massachusetts Institute of Technology, and Purdue University have completed a model of unprecedented near-atomic resolution of the chemical structure of the P22 virus. The study was published online on March 7, 2017 in PNAS. The open-access article is titled “Accurate Model Annotation of a Near-Atomic Resolution Cryo-EM Map.” For nearly 30 years, the laboratory of Dr. Wah Chiu, Distinguished Service Professor and Alvin Romansky Professor of Biochemistry and Molecular Biology at Baylor and senior author of the paper, has been applying electron cryomicroscopy and computer reconstruction techniques to determine the 3-D structures of biological nanomachines, such as the P22 virus. This virus is a bacteriophage -- a type that infects bacteria, in this case Salmonella -and has been extensively studied through genetics, biochemistry, and biophysics. Nevertheless, its precise chemical structure has remained unresolved. "In 2011, we published a structure of the P22 virus that allowed us to trace out a majority of the protein backbone with certainty, but we could not visualize the fine details, such as individual, small side chains," said co-first author Corey Hryc, a graduate student in the Chiu lab. "Since then, the technology in the microscopes has improved; we have new detectors that allow us to record better- and higher-contrast images to improve the resolution of our data. In addition, we have new processing algorithms that allow us to increase our ability to resolve the structure." "The novelty of this work is that we took more than 20,000 two-dimensional individual images of the P22 virus with the electron cryomicroscope and combined them using computational protocols to produce a 3-D map with unprecedented detail," Dr. Chiu said. In a March 7, 2017 press release, the American Society of Human Genetics (ASHG) announced that it opposes and urges the White House to rescind its recent Executive Order "Protecting the Nation from Foreign Terrorist Entry into the United States," issued March 6. Effective March 16, the Executive Order will suspend entry of nationals from six countries into the United States, and of refugees whose applications have not yet been approved by the Department of State. "As a global organization that deeply values collaboration, we believe this order will harm the progress of scientific research in the United States and abroad," said Nancy J. Cox, Ph.D., President of ASHG. "Beyond its practical effects, this travel ban sends a message to some in the international scientific community that their presence is unwelcome -- a message we do not endorse," she added. 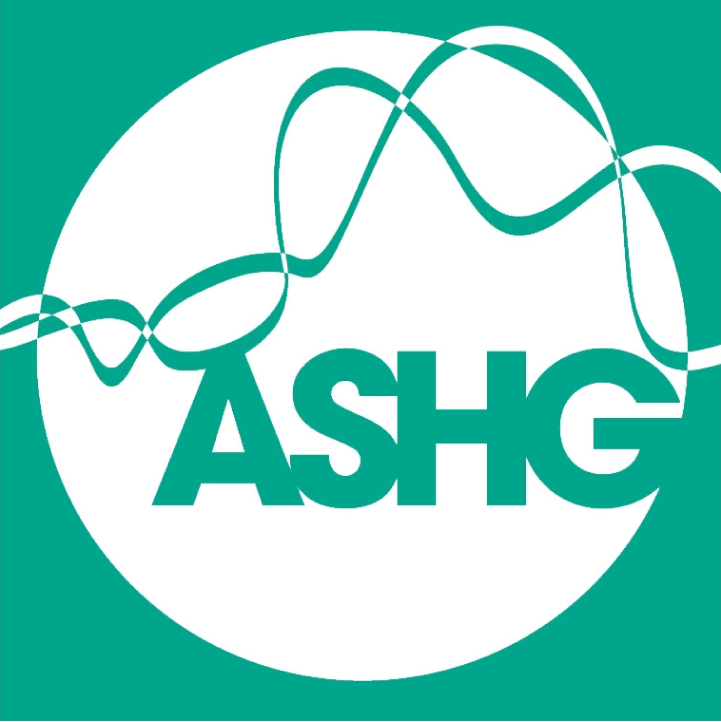 The ASHG is the world's largest genetics organization, and nearly one-third of its members reside outside the U.S. The Society has long recognized the important contributions to the genetics enterprise that come from all over the world, and believes that research in the U.S. benefits greatly from the influx of international researchers to laboratories around the country. "Restricting the travel of scientists threatens the United States' status as a world leader in genetics and genomics research," Dr. Cox said. Every year at the ASHG Annual Meeting, scientists from more than 65 countries come together to share their latest findings and ideas. This cross-pollination, at the ASHG meeting as well as other international conferences, is essential for sparking new avenues of inquiry and establishing partnerships. "As geneticists, we are all students of human variation and we value - indeed, celebrate - the diversity that has contributed to our survival as a species. Chemists at the University of California, Irvine (UCI) have developed a way to neutralize deadly snake venom more cheaply and effectively than with traditional anti-venom -- an innovation that could spare millions of people the loss of life or limbs each year. In the U.S., human snakebite deaths are rare -- about five a year -- but the treatment could prove useful for dog owners, mountain bikers, and other outdoor enthusiasts brushing up against nature at ankle level. Worldwide, an estimated 4.5 million people are bitten annually, 2.7 million suffer crippling injuries, and more than 100,000 die, most of them farmworkers and children in poor, rural parts of India and sub-Saharan Africa with little healthcare. The existing treatment requires slow intravenous infusion at a hospital and costs up to $100,000. And the antidote only halts the damage inflicted by a small number of species. "Current anti-venom is very specific to certain snake types. Ours seems to show broad-spectrum ability to stop cell destruction across species on many continents, and that is quite a big deal," said doctoral student Jeffrey O'Brien, lead author of a study published on December 14, 2016 in the Journal of the American Chemical Society. The article is titled “Engineering the Protein Corona of a Synthetic Polymer Nanoparticle for Broad-Spectrum Sequestration and Neutralization of Venomous Biomacromolecules.” Zeroing in on protein families common to many serpents, the UCI researchers demonstrated that they could halt the worst effects of cobras and kraits in Asia and Africa, as well as of pit vipers in North America. The team synthesized a polymer nanogel material that binds to several key protein toxins, keeping them from bursting cell membranes and causing widespread destruction. Brain scans of canine candidates to assist people with disabilities can help predict which dogs will fail a rigorous service training program, a study by Emory University finds. The journal Scientific Reports published the results of the study, involving 43 dogs that underwent service training at Canine Companions for Independence (CCI) (http://www.cci.org/) in Santa Rosa, California. The open-access article, titled “Functional MRI in Awake Dogs Predicts Suitability for Assistance Work,” was published on March 7, 2017 (http://www.nature.com/articles/srep43704). "Data from functional magnetic resonance imaging (fMRI) provided a modest, but significant, improvement in the ability to identify dogs that were poor candidates," says Emory neuroscientist Dr. Gregory Berns, who led the research. "What the brain imaging tells us is not just which dogs are more likely to fail, but why." All of the dogs in the study underwent a battery of behavioral tests showing that they had a calm temperament before being selected for training. Despite calm exteriors, however, some of the dogs showed higher activity in the amygdala - an area of the brain associated with excitability. These dogs were more likely to fail the training program. "The brain scans may be like taking a dog's mental temperature," Dr. Berns says. "You could think of it as a medical test with a normal range for a service dog. And the heightened neural activity that we see in the amygdala of some dogs may be outside of that range, indicating an abnormal value for a successful service dog." The findings are important, he adds, because the cost of training a service dog ranges from $20,000 to $50,000. As many as 70 percent of the animals that start a six-to-nine-month training program have to be released for behavioral reasons. 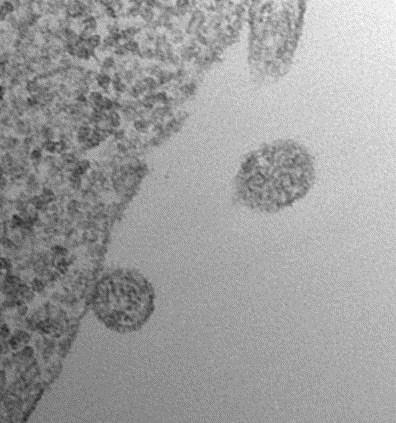 “A new ISEV (International Society for Extracellular Vesicles) position paper giving an overview and critical review of analysis of EV (extracellular vesicle) RNA has just been published in JEV (Journal of Extracellular Vesicles). Authored by participants of the 2015 ISEV EV-RNA Workshop and led by Esther Nolte-'t Hoen (Utrecht University), Bogdan Mateescu (Swiss Federal Institute of Technology Zurich), and Emma Kowal (MIT), this is essential reading for anyone interested in EV-RNA!” This is the message from Professor Andy Hill (photo), Ph.D., President of the ISEV and Director of the La Trobe Institute for Molecular Science at La Trobe University in Australia, who was also an author on the paper. The article is titled “Obstacles and Opportunities in the Functional Analysis of Extracellular Vesicle RNA – An ISEV Position Paper,” and it was published online on March 7, 2017 in the open-access JEV (see link below). The article notes that “although EV-RNA has attracted enormous interest from basic researchers, clinicians, and industry, we currently have limited knowledge on which mechanisms drive and regulate RNA incorporation into EV and on how RNA-encoded messages affect signaling processes in EV-targeted cells. Moreover, EV-RNA research faces various technical challenges, such as standardization of EV isolation methods, optimization of methodologies to isolate and characterize minute quantities of RNA found in EV, and development of approaches to demonstrate functional transfer of EV-RNA in vivo.” The authors said the paper “was written not only to give an overview of the current state of knowledge in the field, but also to clarify that our incomplete knowledge – of the nature of EV(-RNA)s and of how to effectively and reliably study them – currently prohibits the implementation of gold standards in EV-RNA research.